Having proper railings in your home is important for safety — this is especially true seeing as how one in three elderly adults sustain injuries from falling on stairways every year. But when you choose the right railing materials, railings can still add aesthetic value and be easy to maintain. This is why more and more homeowners are choosing stainless steel cable railings. Let’s explore a few things you should know if you’re considering this type of railing. The maintenance is easy: One of the great things about choosing stainless steel railing materials, especially for outdoor use, is that they’re easy to take care of. By cleaning the railings regularly with a non-abrasive cleaner, your railings will remain in good shape. It is important to note that stainless steel is rust resistant, but that doesn’t mean it’s rust proof — if you use the wrong cleaning materials, your railings could start rusting prematurely. So be mindful of what kind of products you’re using to maintain your materials. You’ll have a better view: When choosing railings, many homeowners fail to think about what the view will be like once the railing is in place. Fortunately, cable railing supplies allow for an unobstructed view. This is great for people looking to keep staircases open even with a railing. The unobstructed view is also beneficial for decks and other outdoor settings where homeowners want to be able to enjoy the view while keeping safety a priority. The posts need to be right: When the cable railing is installed, homeowners need to ensure the posts they’ve chosen to hold the cables is compatible with the railings. Not all posts are created equal — it’s important to choose posts that can stay in place when the cables are tightened. Cable railing may have to be tightened down the line, and it’s crucial that the posts can withstand this added pressure. If the posts are too weak, the cables could snap, causing a serious safety concern. So homeowners should make sure that they’re not only buying high-quality cables, but high-quality posts and stainless steel cable railing fittings as well. Hopefully, this article has provided some great information about cable railings. If you’re looking for a reliable and easily-maintained railing option that won’t obstruct your view, consider stainless steel cable railings. Lifting slings are an important tool for moving both people and items around, generally on a construction site. And with falls being the number one cause of death in the construction industry, it’s essential to ensure all slings are in good condition before they’re used. Chain slings are a common type of lifting sling, so let’s take a look at a few tips for keeping chain slings in good shape and extending their lifespan. Keep them clean: Like any equipment or tool, chain slings require regular cleaning. These types of slings can easily become covered in oil, dirt, or other debris. And when they’re dirty, it can be easy to miss signs of wear and tear. So before using or inspecting a sling, make sure it’s properly cleaned. In fact, slings should be cleaned before and after every use. This way, corrosion and cracks can easily be spotted and taken care of as needed. Schedule professional inspections: All lifting slings should be thoroughly inspected before they’re used. In doing this, any signs of damage can be spotted and safety can remain a priority. But professional inspections should be done every year, too. A professional inspection will identify potential hazards and determine the best route to handle hazards. This way, each and every sling can be deemed safe to use. Measure the links: Over time, chain links can get stretched out. And even if it’s not by much, a stretched-out chain link is weaker than a link that is at the designated measurements. If a link is not the proper measurement, it may not be able to hold the weight it’s supposed to. This is why it’s important to measure the links regularly. And if a link is stretched out, you should start looking for cable and rigging supplies to find an adequate replacement. Using lifting slings is a part of everyday work in some industries. And these employees rely on the slings being safe and strong enough to get the job done. Fortunately, chain slings are some of the most durable and reliable slings available — and they last a long time if they’re taken care of properly. So keep these tips in mind to ensure the chain slings you’re using are as safe and effective as they should be. Falls at home can often result in serious injuries. And whether it’s a little kid, a senior citizen, or someone who just loses their footing, falling can happen to anyone. Fortunately, there are plenty of easy ways to prevent falls at your house. So let’s explore a few simple tips that can help you fall-proof your house. Remove trip and fall hazards: When you have someone with a high fall risk at home, it’s important to make your house as open and risk-free as possible. This means starting by removing any hazards you can. Fall hazards can include loose cords, rugs, coffee and end tables, and even loose flooring. Focusing on these hazards and making sure there is a clear path to walk around the house will minimize the risk of falling. Be mindful of the bathroom: Many falls in a house happen in the bathroom. This is because water can make surfaces extra slippery and can lead to falls. And due to the hardness of countertops, tubs, and toilets, falling in the bathroom can be especially dangerous. So it’s important to invest in fall-proof devices, like non-slip rugs, railings, and rubber mats. In doing this, you can lower the risk of falling in the bathroom. Have proper railings in place: Railings play a major role in preventing falls at home. 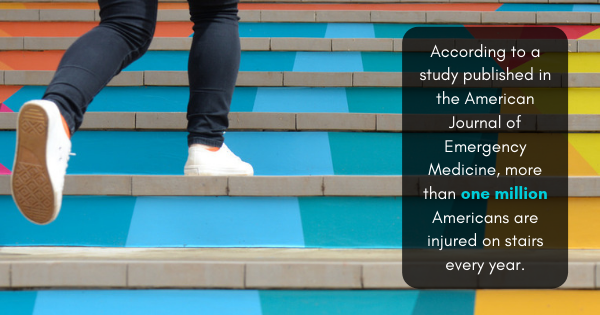 Did you know that a study published in the American Journal of Emergency Medicine found that more than one million Americans sustain injuries on staircases every year? This is why it’s important to invest in durable and reliable railing materials. Stainless steel cable makes a great option because cable railing supplies are high-quality and can provide support whenever needed. Stainless steel cable is also economical and aesthetically pleasing as a bonus. Anyone can fall at home anytime. This is why it’s important to make sure your home is as safe as possible. Whether you have someone with a high fall risk at home or not, you should always prioritize safety in your house. So keep these fall-proof tips in mind so everyone in your house can move about with a lowered risk of falling and getting injured. Lifting slings often play an important role in industries like construction and manufacturing, allowing employees to easily move heavy items. And when it comes to choosing lifting slings, chain slings are often a top choice. If you’re new to working with chain slings, here are a few basic things you should know. What Are the Benefits to Using Chain Slings? Compared to other types of slings, chain slings offer a variety of benefits. These types of slings are more durable because they can easily resist abrasions and other damage due to the fact that they’re made of metal. Additionally, they can be used in a variety of temperatures and environmental conditions, making them ideal for outdoor workspaces. These slings can be easily adjusted by simply removing or adding chain links and can be put together in the work environment with the right cable and rigging supplies. 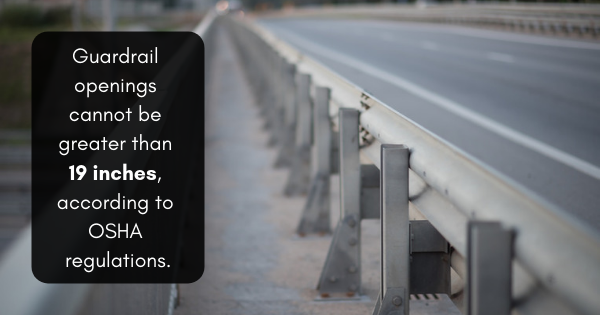 There are a lot of regulations in place for safety purposes, like the OSHA regulation that prevents guardrail openings from being larger than 19 inches. And with that in mind, there are also several safety regulations and tips that should be followed when using chain slings. First and foremost, chain slings should always be inspected before they’re used. The links and any attachments should be in good working condition or replaced if necessary. Additionally, the load weight should not be exceeded at any point. And chain slings should be stored hanging up and in a dry area to prevent any damage. 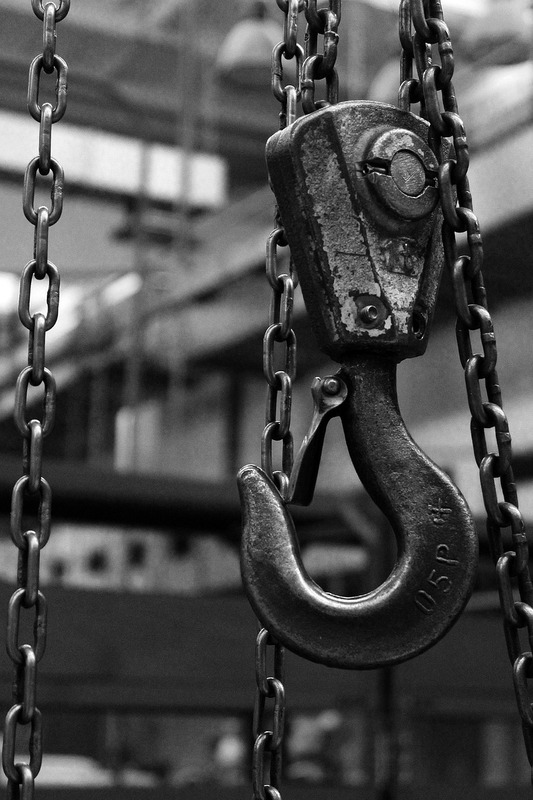 Just like any lifting equipment, there are certain things that should not be done when using chain slings. When using lifting slings in general, suspended loads should not be left unattended or jerked around when being lifted or lowered. Furthermore, any chain sling that is worn out or damaged in any way should not be used — and chain links should not be forced into place. Lastly, any attachments that need to be used should be attachments meant to be used with chain lifting slings. Hopefully, this article provided valuable information regarding chain slings. 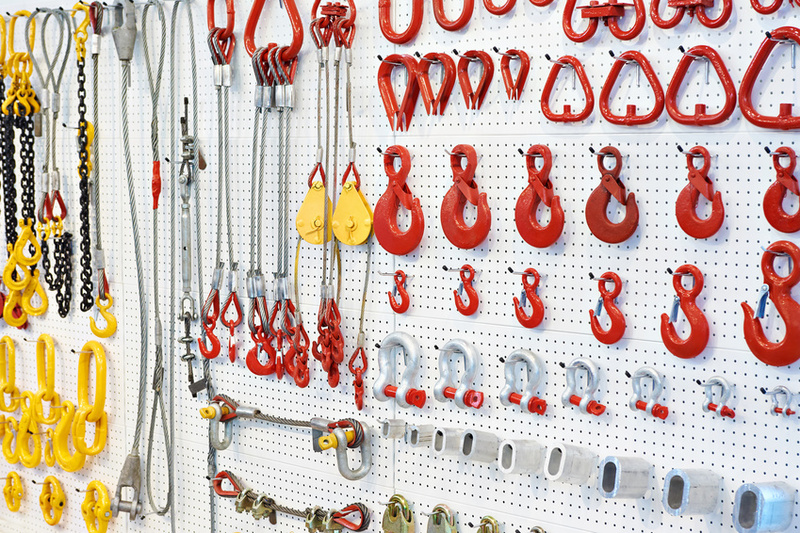 If you’re looking for any cable or rigging supplies, including chain slings, contact American Cable and Rigging Supply today. There are a lot of protection measures and safety regulations put in place for industries like construction. Unfortunately, having inadequate fall protection is still the number one most frequent violation of OSHA regulations. With that in mind, it’s important for employees to always properly inspect their gear before using it. This is especially important for lifting slings. So let’s take a closer look at a few important inspection tips for different kinds of slings. These types of slings make a great option because they offer immense durability when it comes to withstanding environmental conditions and heavy weight loads. But that doesn’t mean they can’t get damaged. So before a chain sling is used for the first time, each chain link should be cleaned and inspected individually. The user should also double check the information that came with the sling, ensuring it has the right load limit. A few important problems to look for when inspecting these slings include excessive wear, cracks, links that are too stretched, bent or twisted links, and any sign of corrosion. If any link is damaged, it should be removed and replaced promptly. A local rigging supply company can provide replacement sling pieces as needed. Along with chain slings, nylon and polyester slings can also fulfill rigging and cable needs. These slings are more susceptible to damage than other slings, so it’s especially important to properly inspect them for any signs of wear and tear. Some common types of damage on nylon and polyester slings include abrasion, cuts, heat damage, and even snags or punctures. Before these slings are used, they should always be inspected — the user should look for signs of damage and all attachments and fastenings should be looked at as well. And about once a year, all slings in use should be inspected by someone outside the organization to ensure the condition of the slings is acceptable. If not, it’s important to look for cable and rigging supplies that are up to the industry standard. As you can see, regularly inspecting slings is important for safety and effective use. So keep these inspection tips in mind to ensure all slings are being used properly. Lifting slings are important equipment in industries like construction. They’re essential for lifting and moving both people and heavy objects. Because of their importance, it’s crucial to ensure you have the right sling for the job. But how do you choose the right lifting sling? Let’s take a look at a few tips to keep in mind during your search. Be mindful of the temperature: One of the first things you should consider is actually not the sling itself, but the environment it’s going to be used in. Many slings are used in outdoor environments, which can obviously vary depending on the weather. Another concern with outdoor work conditions is things like rain, snow, and sunshine. If you’re working outside, make sure the sling you choose can handle all of these environmental conditions. And even for inside work conditions, temperature can be a concern. Some sling materials may not work well in colder temperatures while others may not be right for hot temperatures. So be mindful of the temperatures you’re working in when choosing slings. Consider the load limit: When you’re lifting something, it’s important that the sling being used can handle the weight and size of the load. To ensure you find the right sling for your rigging and cable needs. Load limit may not be the same for every piece of equipment you use, so make sure you check the limit for every piece of equipment. Certain slings, like chain slings, are ideal for heavier loads compared to options like nylon slings. If you choose the wrong type of sling, you could risk dropping the items being moved, which can be extremely dangerous. Compare materials: Since fall protection measures were put in place by OSHA in 1971, many slings and cable and rigging supplies have been designed and manufactured. This means there are a lot of different sling materials to choose from. Polyester, nylon, and chain slings are all common choices for different uses. When comparing materials, ensure you’re focusing on the sling’s ability to withstand certain weight limits to ensure it can meet your expectations. So when you start looking at sling options through a local rigging supply company, it’s important to keep these factors in mind. Considering environmental conditions, weight limits, and how different materials hold up can help you find the right sling for your needs. As a homeowner, you like to think your house is as safe as possible. Unfortunately, this isn’t always the case. 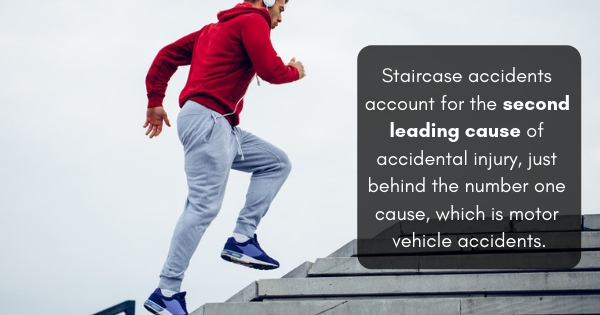 Did you know that behind motor vehicle accidents, staircase accidents are the second leading cause of accidental injuries? This is why it’s so important to have proper railings in your home. So to help you make sure your railings are in the best condition possible, we’ve compiled a list of a few warning signs that your railings need to be replaced. They feel loose: One of the first indications that your railings need to be replaced is that they feel loose and wobbly when you touch them. Railings should always be sturdy so they can be reliable when you’re grabbing onto them. You can test your railings by leaning on it or pushing it — if there is any give, it’s too loose. Loose railings don’t fix themselves, so you should look into cable railing hardware as soon as you notice they’re wobbly. You have a pest problem: If you have wooden railings, particularly on your deck, they could be prone to pests. Termites and carpenter ants can quickly destroy railings from the inside out. And unfortunately, pests don’t usually stay in one place. So you should always have an exterminator come to take care of your pest issue. Once the pests are gone, consider investing in a railing that is less prone to pests, like cable or steel. 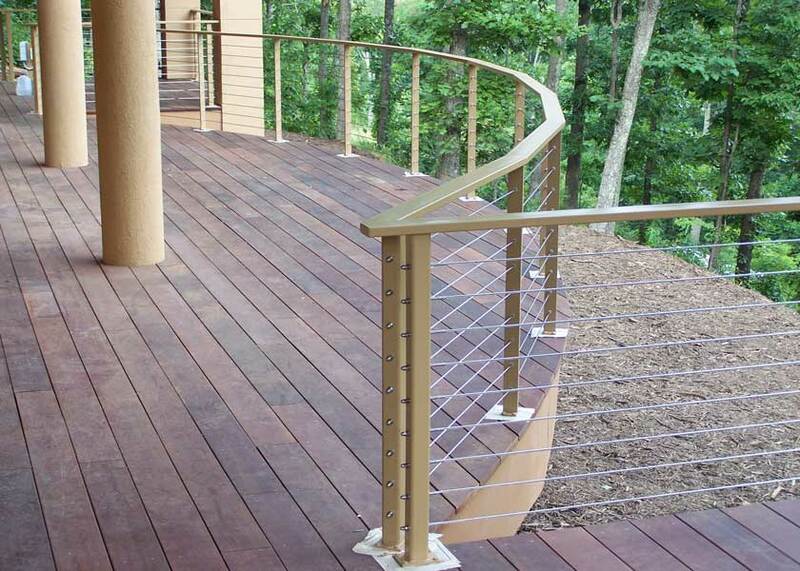 Cable railing supplies are durable, weather-resistant, and can last a long time. There are signs of corrosion: All types of railings are susceptible to corrosion, some more than others. So if you notice signs of corrosion, like worn wood or rusted metal, it’s important to take action sooner rather than later. Once a railing begins to corrode, replacing it is going to be your best option. If your railing didn’t last long before showing signs of corrosion, consider going with a different material for the replacement railing. Cable hardware can be a great choice for both indoor and outdoor railings due to its long-lasting properties. Railings are an important safety feature in your home. So if you begin to notice any of the signs discussed in this article, make sure to replace your railing as soon as possible. In the construction industry, falls are the number one cause of death. In fact, lack of proper fall protection remains the number one most frequent OSHA violation. The fact is, many contractors think their experience overrides their need for reliable fall protection. But you never know when equipment could malfunction or you could take one small misstep and suffer from a serious injury as a result. Here are just a few of the most common myths and misconceptions about fall protection that all construction workers should be aware of. Fall protection isn’t needed if contractors don’t work on roofing very often. It’s a common misconception that contractors only need fall protection if they consistently work at high heights. But the fact is, it only takes one slip up for a serious injury to occur, so whether a contractor works at high heights once a week, once a month, or even once a year, they still have some risk of injury unless they are protected with a reliable chain sling. Fall protection just isn’t very reliable. While there are many different types of fall protection equipment available, much of it is incredibly durable and has a lifetime warranty. The only time you should be wary is when buying unauthorized or unclear products that were manufactured in China, as these products and brands typically don’t go through as many quality assurance tests, if any. Fall protection is too expensive. 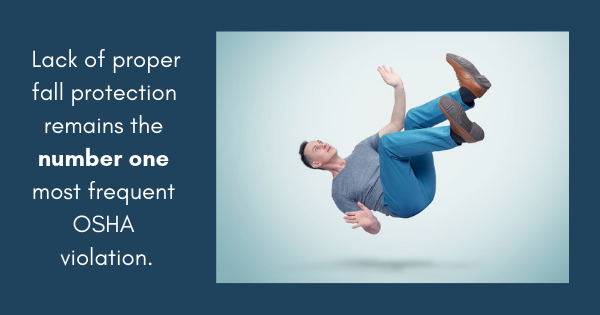 As mentioned, it only takes one fall to sustain a serious and potentially life-threatening injury. That being said, while fall protection equipment certainly requires an upfront investment, the money you can save on other expenses, e.g. medical bills, insurance claims, and even lawsuits, is significant. But more importantly, the injuries you could prevent and the livelihood you could preserve in an employee is something you just can’t put a price on. Fall protection measures for general industry regulations were first published by OSHA in 1971, and understanding the truth behind these myths can help you make the best decisions for your own personal safety. For more information fall protection equipment like about chain slings and cable railing supplies, contact American Cable and Rigging Supply. 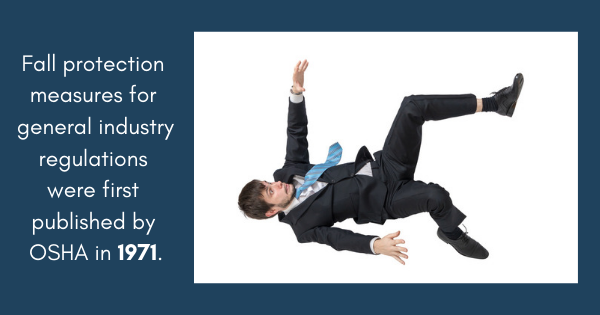 You can get hurt at just about any job, but there certainly are industries that have much higher rates of injuries and even fatalities. Construction, for instance, though a necessary industry, is one of the most dangerous sectors of the workforce. 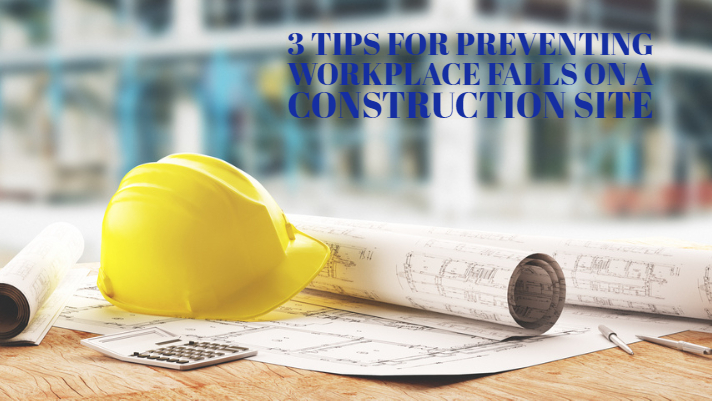 In the construction industry, falls are the number one cause of workplace fatalities. It’s imperative that you do everything you can to educate your workers on proper safety methods and procedures so incidents can be avoided. Utilize cable railing supplies — If your workers are operating high up in the air, it’s important to have sufficient guardrails protecting them. However, these guardrails aren’t enough to keep them protected at all times. That’s where cable railing supplies come into play. Guardrail opening should not be greater than 19 inches, according to OSHA’s regulations. Cable railing hardware can help keep your workers safe while on or near guardrails. Focus on proper training — Without educating your workers on how to properly handle each and every construction task that they will be performing, you’re putting everyone at risk. When OSHA issues a citation for fall protection violations, they rarely issue just one. Employers are often cited for both the violation and a lack of training, as well. Be sure to provide your employees with the right equipment and proper training. Identify all potential hazards on a job site — It’s important to identify each potential fall hazard on a construction site. Make sure you’re taking the time to identify each and every potential hazard well before any work is being performed. 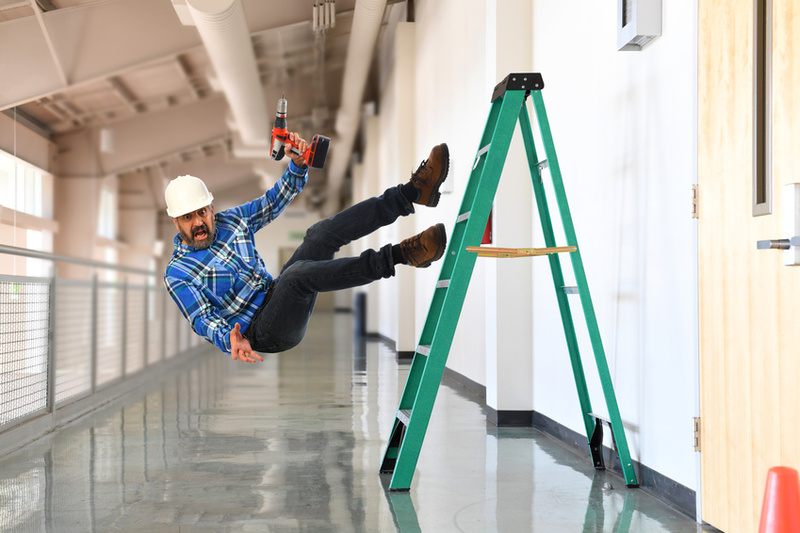 Don’t let anything happen to you or your workers because you weren’t properly planning for potential fall damages. If you want to learn more about how cable railing supplies and chain slings can help keep you and all your construction workers safe while on the job, give American Cable and Rigging Supply a call right away.